Oversized animated disembodied heads with multiple pairs of spiny, crab-like legs. 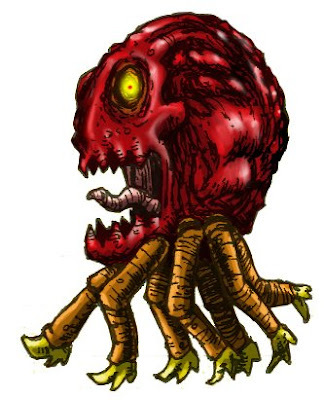 The Calavulist is a being created via alchemy (similar to a homonoculus,) and thus does not posses a true soul, but is instead animated with a portion of it's creator's life force. And it is ugly. Look how ugly it is.